Having your own Interactive Voice Response (IVR) system has become a prime necessity in today’s competitive business scenario. Not only it gives your business an edge, but it also reflects that providing a quality customer service is your top priority. But to utilise this service to the best of its abilities you need to be fully aware of what it offers and how you can integrate its capabilities into your business. 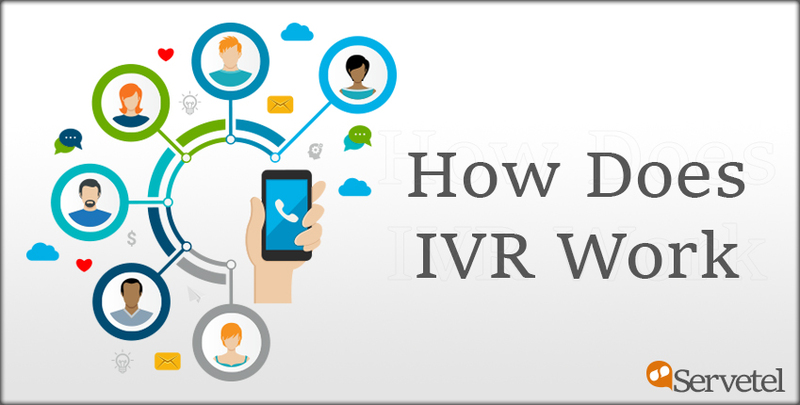 Below is a detailed description of what is IVR, how it works and why should your business adopt this solution in your business. IVR in simple terms is a technology that automates the telephony system. It responds to the incoming calls automatically and interacts with the callers through automated voice messages. This communication takes place with the help of numeric inputs entered by the caller. How does IVR System Work? When a customer calls on the business phone number, IVR system greets the caller by playing an automated welcome This greeting message includes the name of the company, along with a list of IVR menu options. In the above example, first three options as mentioned below are self help options. 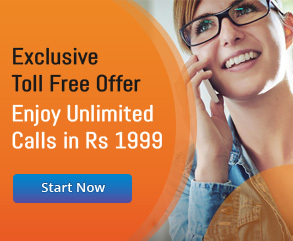 These options help the customers to resolve queries without intervention of a live agent. 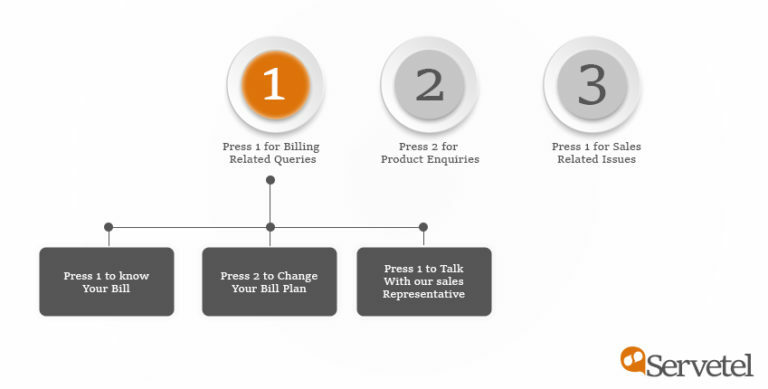 However, the option with a description “Press 3 to Talk with our Sales Representative” connects you with a live customer representative directly. After listening to the options thoroughly, a caller can numerically input their desired response depending upon the type of query they want to inquire. According to their requirement, the callers can proceed forward with self-help IVR option or can connect to the customer service representative of the desired department. While the process seems simple at the front end, the backend involves combination of technologies to facilitate the smooth functioning of IVR. 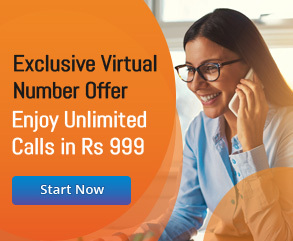 These systems use Computer Telephony Integration (CTI) technology to computerise their calls, i.e., instead of calls being received on a traditional landline set, the calls are received, forwarded or dialled on computers. This technology eases the whole communication process by providing many additional features other than dialling or receiving a call. Below is the list of actions which process in the backend. Further, numeric response of the customer is interpreted by the DTMF technology where every frequency of numeric input tone generated by keys is used to decode the response. A computer needs special hardware known as telephony card to understand this DTMF response. If a caller opts for a self-help option, then the answer to the query is retrieved from a database or a pre-recorded script. However, if the caller opts to talk with the agent then features such as call forwarding or routing is used to direct the caller to the desired customer service representative. And with the help of CTI technology, the calls are displayed on agent’s desktop. Hardware devices such as softphones are further used to answer the incoming call and proceed with the conversation. Apart from easing up the process of query resolution for customers, IVR system widely helps businesses to streamline their everyday processes by replacing manual tasks with automated processes. Below are few of the advantages which makes IVR a promising solution for business. Adopting IVR solution automates many of the mundane day-to-day tasks, be it answering thousands of calls with an auto-receptionist feature or using the call forwarding feature to route the calls to the right department. These number of reduced manual tasks optimizes the overall efficiency of the agents and smoothens the overall customer experience. As many of the manual tasks get eliminated in the process, the cost of overall process gets reduced to a large extent. Moreover, by using cloud-hosted IVR services, a business saves a lot on their capital expenditure as now one needs lesser infrastructure as well as human resources. Scaling up or down also becomes very cost-efficient with cloud-hosted IVR. IVR comes with an added feature of call recording. This information proves to be of great help to the business as it provides them with insights of conversation. Businesses can use this information to understand the approaching customers and their concerns. This further helps the business to refine their services by adjusting it according to the customer’s requirement. Self-help options resolve many customer queries without the need of contacting a customer service agent. IVR system segments the incoming calls into different departments which allows the agent to address the query of their expertise. This reduces the number of calls and queries received per agent and helps them to deliver quality customer service.